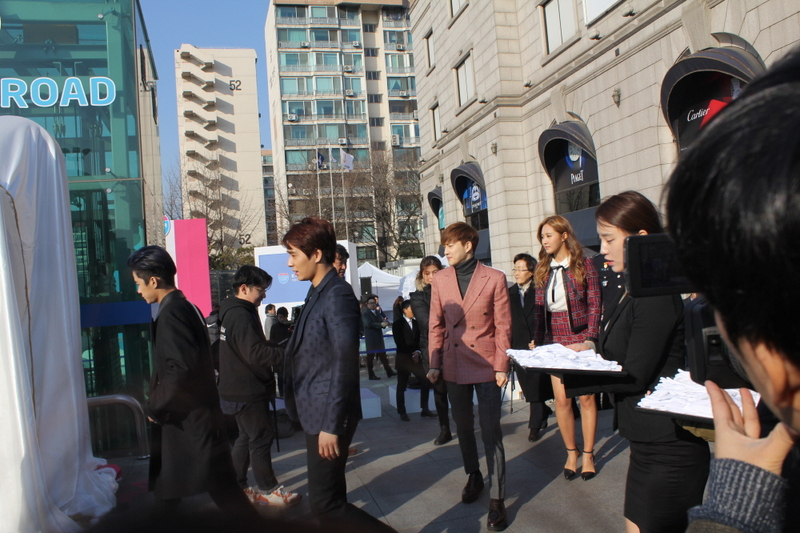 Exciting day in gangnam !!! if you first found out about Korean culture through K-POP, then the first place you have to visit is Hallyu star avenue. Hallyu star avenue is where you might catch a glimpse of some of korea's top idols, like girs' generation, super junior, exo, 2pm, 4minute and beast. this street is where korea's major entertainment companies, such as SM, JYP and CUBE are located. Together, they developed the street to appeal to the kpop fandom. 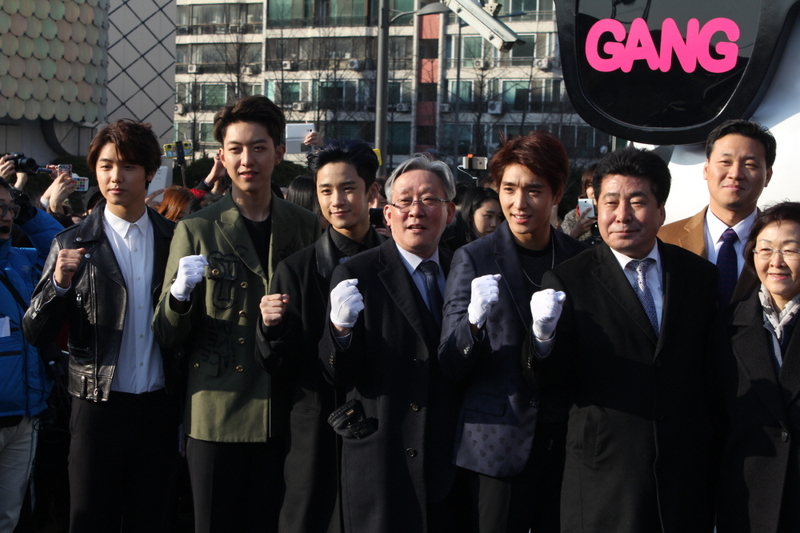 Yesterday, k- star road of the unveiling ceremony. Many popular idol is here to celebrate. Many girl fans and reporters were gathered and celebrated with such dedication. 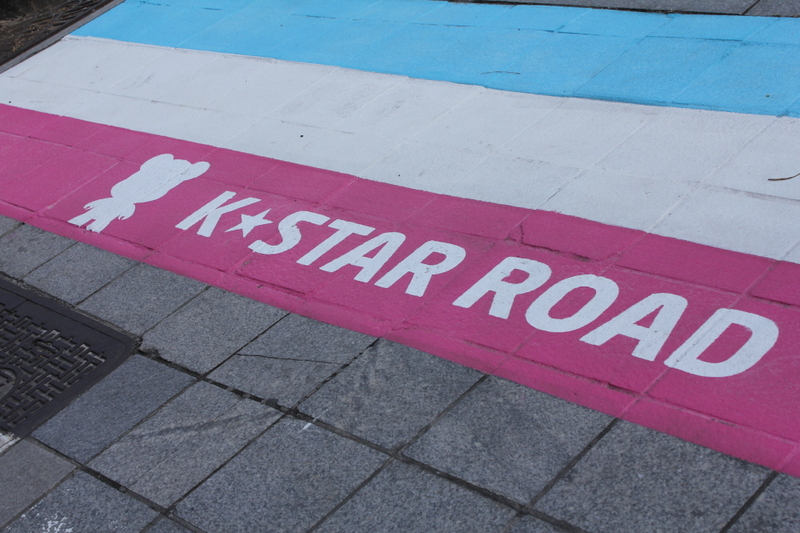 K-STAR ROAD are going to be further developed. Come to see K-POP STARS' hand prints and maybe even get the chance to meet your favorite Korean celebrities in person !! !